After last month’s dismal news from Santa Barbara, it was heartening to see something a great deal more inspiring come out of the Southern California city. Start-up company Mission St. Manufacturing announced they were raising money on Kickstarter for a 3D Printer for kids and schools called Printeer. Since they’d nearly reached half of their $50,000 goal only two days after launching the campaign, and at last glance they were $3,000 away from hitting their goal with 21 days left, I predict they’ll raise far more money than they’re looking for. The 3D printer comes in friendly bright colours with the dangerous parts hidden behind non-toxic plastic. And you don’t need to learn how to use CAD (computer aided design) software, the tool that is required to generate the 3D designs used by other 3D printers. Instead, Printeer design software runs on the iPad. It can be learned in 30 seconds, and once you’ve created your design it goes straight from the iPad to the 3D Printer. Beyond the bright colours and plug-and-play features, what’s exciting is the price – around $500 (£300). Printeer’s news hit the internet the same day I went to the Europas, the tech start-up awards run by TechCrunch European Editor Mike Butcher. On the sidelines I ran into Chris Thorpe of I can make who is launching a series of kits that teachers can use to teach design and 3D printing. I particularly like the look of the Spaceship One, my son liked the Gloucester E28/E29 Jet. Five minutes with Chris and Start-Up Britain co-Founder Oli Barrett and it became apparent that there’s a real chance that 3D printers could come to UK schools soon. There are, of course, potential pitfalls. A primary school teacher I met in Silicon Valley (whose school has both 3D printers and laser printers) advised: don’t forget to leave money in the budget to train the teachers and keep the machines running smoothly. They aren’t cheap to maintain. That said, I’m joining the campaign to bring 3D printers to schools. But I’d like to see a project like Oli Barrett’s ’Tenner’ launch it – the scheme which has challenged more than 50,000 schoolchildren to discover what they can achieve in a month starting with a £10 loan. 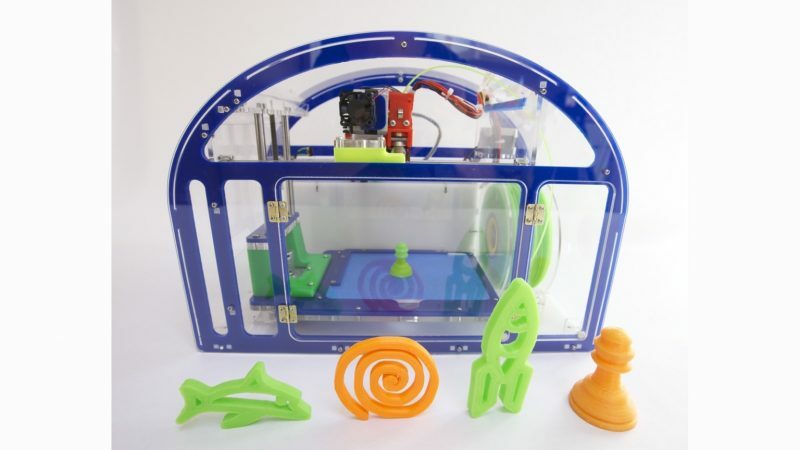 What can pupils make with their 3D printers? President Obama recently encouraged Americans, “to be makers of things, not just consumers of things” and this week hosted the White House’s first Maker Faire. Prime Minister Cameron – let’s get on this! This entry was posted in Articles and tagged 3D Printer, Kickstarter, School. Bookmark the permalink.